Cotton Canvas Mens Winter Hooded Insulated Jackets Windbreaker Winter Warm Parka ITEM DETAILS Style No FR-Jacket120808-1 Product Name winter warm jacket Material durable 12-ounce 100% cotton firm-hand canvas Size Customized Brand FAVAR Leading Time 32-35 days Packing Details each piece packed in a polybag, Carton Size:60x40x40cm, each carton packing 15pcs Shipping Port Guangzhou or Shenzhen, China Order Details 1) MOQ:800 pieces per item 2) OEM/ODM provided Style 1)Canvas 100% cotton, 200gsm polyester padding w/ polyester padding; 2)copper zipper concealled ; 3)two front handy pockets, inside have one phone pocket; 4)Hooded jacket; 5)Color:Navy, sliver grey, sapphire, khaki (dyed according to the customer's requirments) 6)Can embroider client logo ; Payment Terms T/T, Western Union, Paypal, Cash, L/C Remark 1) The latest design for Mens Jacket 2) Produce Winter Jacket: about 10,000 pcs/mon. 3) Strong designing and quality control team We are Shenzhen Favar , we are professional. Just email me if any question, i will reply you within 12 hours, or call me directly at +86 15813859280, thanks! Q2: Can you accept small order 9 the order qty can be lower than 200pcs9 A2: yes , we can accept small order . Q3: Can you accept customer design9 A3:Yes,we can. Q4: Can you provide custom label / logo9 A4:Yes,we can. Payment Terms: 30% deposit, the balance should be paid before shipment Advantage: 1. Free sample for OEM orders for old customers. As a direct manufacturer, we offer value-added services for your specific inquiries, in order to deliver the highest quality garment with the best possible pricing, delivery and lead times. You can focus on developing and marketing your product, and leave all aspects of the clothing manufacturing process to us. European ,Asia ,Australia ,takes 3-5 days, to other countries, 5-7 days . European ,Asia ,Australia ,takes 5-7days ,to other countries ,7-10 days . European ,Asia ,Australia ,takes 5-7 days ,to other countries ,7-10 days . head and face protection, listening protection, respiratory protection, hand protection, feet protection, fall protection, medical anti-static Fire rescue protection. Product category Safety Garment Gloves Safety shoes Glasses Filter face Helmet Mask Headset Earplug Aerial equipment Company Profile Flower Gloves S.R.L. 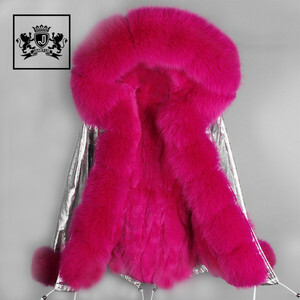 Our productions can provide a wide range of Personal Protective Equipment solutions in multi-risk protection, such as flame retardant, anti-static, anti-explosion, high visibility, anti-acid, waterproof, cold insulation etc. Mens Cotton Padding Lined Canvas Winter Jacket Quilted Brown Parka ITEM DETAILS Style No FR-CJ0113-1 Product Name winter parka for men Material cotton 8oz canvas w/ 200gsm cotton padding lining Size Customized Brand FAVAR Leading Time 30-35 days Packing Details each piece packed in a polybag, Carton Size:60x40x40cm, each carton packing 20pcs Shipping Port Guangzhou or Shenzhen, China Order Details 1) MOQ:300- 500 pieces per item 2) OEM/ODM provided Style 1)Canvas 100% cotton w/ 200gsm cotton padding lining 2)copper zipper concealled 3)Pocket: Two lower inset on-seam pockets and utility pocket on left sleeve 4) Pre-cure durable permanent press 5)Color:Navy, sliver grey, sapphire, khaki (dyed according to the customer's requirments) Payment Terms T/T, Western Union, Paypal, Cash, L/C Remark 1) The latest design for Mens Jacket 2) Produce Winter Jacket: about 8,000 pcs/mon. 3) Strong designing and quality control team We are Shenzhen Favar , we are professional. Just email me if any question, i will reply you within 12 hours, or call me directly at +86 15813859280, thanks! 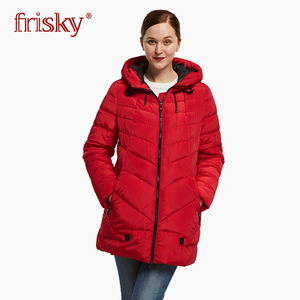 Features Product name: Safety fire retardant clothing/ Freestyle Insulated Parka/ FR cotton workwear Brand name:OEM, Sunland Weight: 2500 gram Color: Blue/Red, etc. (Could be customized) Material:Entire craft Polyester-cotton yarn card. Size: S, M, L, XL, XXL, XXXL, XXXXL Certificate:CE, ISO 9001 Usage: Static places such as chemical, metallurgy, mining, petroleum, electroplate printing, papermaking industry, etc. *two side pockets, one breast radio pocket,one pen pockets on left arm; *brass doubleway zipper; *fr sewing thread; *high performance on warm property. in some industries such as electric utilities, the hazard can be calculated. 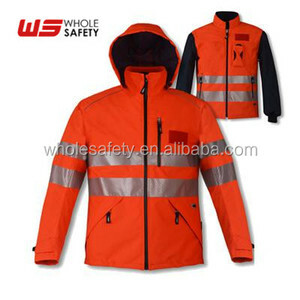 3M Hi-Vis Parka for Men / Winter Cotton Quilted Jacket ITEM DETAILS Style No FA-HVJ0830-1 Product Name Winter Quilted Jacket Material 100%polyester with quilted Size Customized Brand FAVAR Leading Time 30-35 days Packing Details each piece packed in a polybag Shipping Port Guangzhou or Shenzhen, China Order Details 1) MOQ: 300-500 PCS per item 2) OEM/ODM provided Style Waterproof and breathable construction Shell is lined with fully seam sealed Dupont&reg; dot laminated taffeta High Vis upper and reflective tape/piping placement. ANSI/ISEA 107-2010 standards PU abrasion panels at shoulders to provide grip for backpack straps 3 way adjustable hood rolls up into collar or zip off Resistance to blood borne patheogens Water resistant exposed zippered Radio pocket at left chest Double storm flap to keep wind and rain out. Exterior utility pocket under storm flap Mic Loops Right chest loop patch panel for ID patch Upper sleeve zippered utility pockets Articulated elbows Elastic corded hem adjustment at side seams Back zipper access for imprinting details Color:Navy, sliver grey, sapphire, khaki (dyed according to the customer's requirments) Payment Terms T/T, Western Union, Paypal, Cash, L/C Remark 1) The latest design for Hi-Vis Jacket 2) Produce Work Jacket: about 10,000 pcs/mon. Sample make is available based on photos, and sample cost will be deducted in bulk order. Label Service Free charge for order more than 200 pieces. Any question please contact our saler for helping. 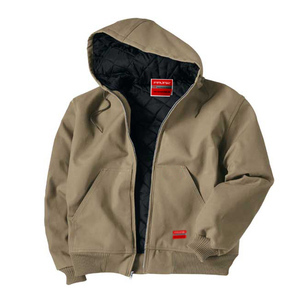 &gt; double layer heavy duty high performance insulatectm winter fleece . &gt; front storm flap tighly closed to fend off water and wind. 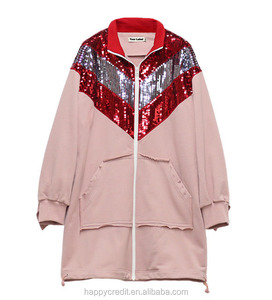 1 YRS Ningbo Prot E-Commerce Co., Ltd.
C) Is the price negotiable9 Yes, the price is negotiable. And the prices also have great relationship with the order quantity and material. So, for the similar item, the prices may be quite different. 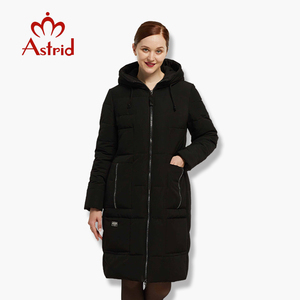 Alibaba.com offers 135 fr cotton parka products. About 67% of these are women's jackets & coats, 10% are men's jackets & coats. 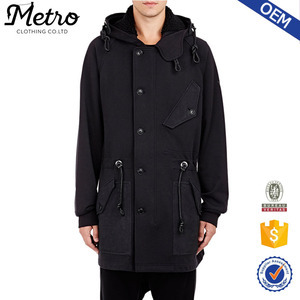 A wide variety of fr cotton parka options are available to you, such as paid samples, free samples. 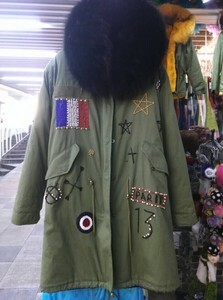 There are 135 fr cotton parka suppliers, mainly located in Asia. The top supplying country is China (Mainland), which supply 100% of fr cotton parka respectively. 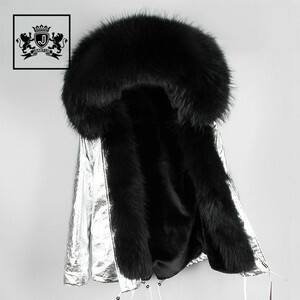 Fr cotton parka products are most popular in Western Europe, North America, and Eastern Europe. You can ensure product safety by selecting from certified suppliers, including 19 with ISO9001, 12 with Other, and 6 with ISO14001 certification.